Spondylolisthesis (spon-di-loh-lis-thee-sis) is a condition where one vertebra has slipped forward over another one below it. This misalignment typically occurs as a result of advanced degenerative disc disease (DDD), stress fractures, or congenital abnormalities, and in rare cases from a tumor or trauma. Degenerative spondylolisthesis is a consequence of the aging process in which the bones, joints, and ligaments in the spine grow weakened and become less able to maintain the alignment of the spinal column. This type of spondylolisthesis most commonly occurs at the L4-L5 levels of the lumbar spine, but it can also occur at other levels. Degenerative spondylolisthesis is more common in people over age 50, and in particular, among individuals over age 65. Women are two-to-three times as likely as men to be diagnosed. Spondylolisthesis can cause impingement of the nerves and/or fatigue of the back muscles, and may result in lower back and/or leg pain. Your doctor will perform a physical examination to identify areas of pain and weakness, and will evaluate your balance and the overall movement of your spine. Your doctor will also collect information about the history of your symptoms, including medicine you have taken for your condition. After your examination, your doctor may use tests to help establish his or her diagnosis. Some of these tests may include x-ray, CT (computed tomography) scan, and MRI (magnetic resonance imaging). Together, all of these techniques may help to confirm a diagnosis of spondylolisthesis. The following provides an overview of standard non-surgical and surgical treatments for spondylolisthesis. • Physical therapy and strengthening exercises. • Rest and a restriction of physical activity. • Injections (corticosteroids) to help reduce the pain and swelling. • Medications and analgesics to reduce pain and swelling. Typical medications include non-steroidal anti-inflammatory drugs (NSAIDs). If surgical treatment is determined to be the best course of action, spinal restoration surgery is done to reduce motion between the vertebrae, correct alignment, and restore disc height and normal lumbar curvature. During the procedure the surgeon removes most of the disc between the two bones that are to be stabilized and implants a spacer to restore correct spinal alignment. The surgeon may also utilize bone grafting materials that bridge the space between the vertebrae and encourage the bones to grow together. Increased stability and restoration of disc height and alignment often result in significant pain relief. Below are some of the surgical procedures used to treat degenerative spondylolisthesis. The MAS TLIF procedure is a technique that attempts to eliminate instability in your back through a less invasive approach to fuse one or more vertebrae together to reduce motion. Learn more about the MAS TLIF procedure here. The XLIF procedure is a minimally disruptive surgical procedure performed through the side of the body. 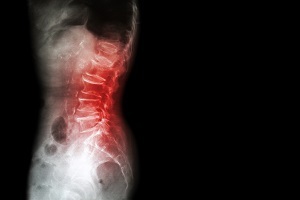 It is designed to treat a range of spinal conditions. Using patented nerve monitoring technology, the surgeon gains lateral (side) access to the spinal column, helping to avoid any major nerves in the area between the incision and the spine. The XLIF procedure does not require an anterior (front) or posterior (back) exposure, and therefore does not present the same risks of vascular and/or neural injury as traditional approaches. Learn more about the XLIF procedure here. In addition to consulting with your physician and medical teams, it often helps to speak to someone who has had a similar condition. To connect with a Patient Ambassador dealing with spondylolisthesis, please complete our request form.